Just saw this guitar on ebay. 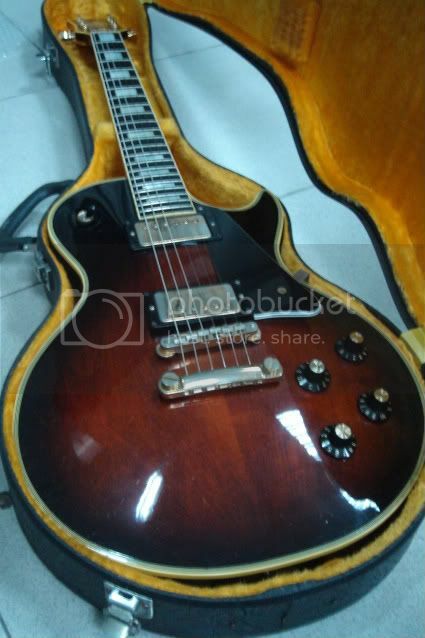 Apart from being in very prestine condition, is this guitar indeed as rare as the seller claims? How about getting money's worth? Just curious. I am not a Greco expert so those of you who are, please let me have your thoughts. Hi Cliff, hadn't seen it was you who is selling the guitar : D Sorry!! Should have rang a bell seeing a beauty like this... Loved that EG60-150 you had on the bay earlier as well.. Classy guitars! I owned that for a while. Yes, they are very rare. I have seen just a couple other than that one in the past few years. It has a 2-piece body (not separate top/back) and narrow frets. Cliff also has a white Super RealEG-1000C for sale too, talk about letting some of the rare ones go! Small world Wulfman! Do you remember the neck profile, slim or fat? Doesn't really matter anymore, Cliff has sold her already! geez...almost 3K US? That's crazy! Think I paid about 700 for mine.